What are Monofibre hair extensions? Monofibre hair extensions were originally pioneered by Antenna hair salon in London 25 years ago, AKA before hair extensions really came into popularity. Despite looking and feeling like real hair, the extensions are acrylic. The hair is plaited into your own hair then melted a little so it stays in place. Basically, this method means no glue and ZERO damage to your natural hair. Stephanie and her assistant matched my hair by brushing together various shades, then they spent the best part of two hours braiding the hair extensions into my hair, then melting them a little to keep them in place. Although quite a lengthy process, the pair work so quickly and are so used to it that you feel like you are in more than capable hands and can sit back and let them work their magic. There’s also a certain thrill to watching your hair go from your usual dull locks to long pretty princess curls! Since the extensions are absurdly long before Stephanie then trims to your preferred length, my first reaction on seeing them was that I looked like a mermaid. 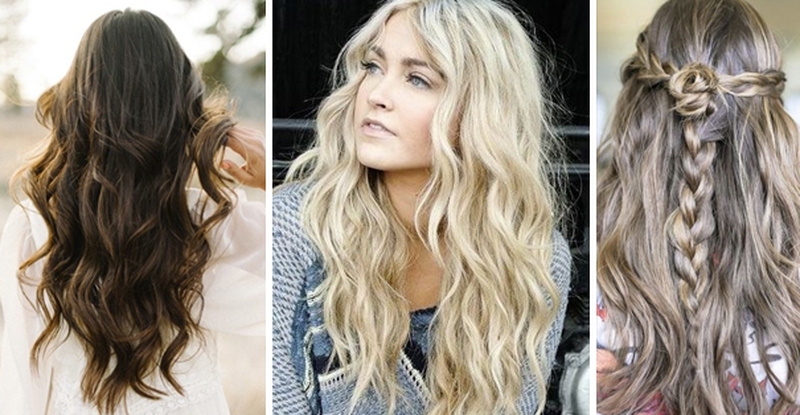 You heard, get extensions and you’ll feel like a pretty, pretty mermaid and it is BRILLIANT. The extensions can last up to three months if taken good care of, but realistically they should last two and a half months before you should really consider booking that follow-up appointment and have them taken out. They are plaited into your natural hair after all, and hair grows. It's perfect for unusual hair colours. My hair is a browny red (also known as ginger), so getting a natural colour from just a DIY packet is pretty much impossible for me (believe me, I’ve tried). The same goes for anyone who has an unsual colour or more than one shade in their hair; finding that balance is surprisingly difficult. With monofibre hair, different colours are brushed together to reach your exact shade, and it is slightly mind blowing to watch. It's ethical. Monofibre hair is definitely the ethical option since it means you won't be wearing some poor woman’s hair that she sold for cash like Eponine in Les Mis. Thing is, it looks so real it seems bizarre that wearing someone else's hair is the more popular option! How?! It's not just for people who want long locks. One surprising thing I heard from Stephanie was that most of her clients are not interesting in achieving longer hair (which, if you haven’t already noticed, is one of my life goals). Instead, Stephanie tends to put in the extensions for people with thin hair, or if they are in that horrible midpoint of growing out a bob. They come in EVERY colour. If you want to go a little further with the festival hair, the monofibre extensions come in many weird and wonderful colours. Want a little ombre with some green or blue? Done. Another neat trick Stephanie can do is add four plaits which you can then use to tie your hair back. It’s brilliant. You can’t put hot plates onto the hair, meaning no curlers or straighteners. It is still pretty easy to style your hair, you can still dry the hair straight on a medium heat, plait it at night for beachy waves or put hot rollers in it for curls, but if you think you can spend twenty minute curling it before a night out, think again! The extensions cost £490 to be done professionally which seems pricey although the more we think about it, the more reasonable this seems. Sure you could buy clip in hair extensions for £80 that look sort of tacky and don’t last more than one wash, but this hair will stay looking healthy and so natural no one will be able to tell the difference (except that you have Princess hair down to your waist, obviously!). Honestly, after having the extensions for over a week now I already can’t imagine life without them! Visiting the Salon. That's easy to do. Just find your favorite stylist. Server responsed at: 04/24/2019 6:04 p.m.